Howsoever far away a truly committed artiste may go from the world of films to which his or her roots belong yet he cannot distance oneself from the art he practices. One tends to sense this eternal truth after meeting the renowned actress Ms. Ashwini Bhave, who holds a highly distinguished position in the Indian film industry. Ms. Ashwini Bhave has been making pioneering contribution to the Indian film industry even after settling in United States after her marriage. 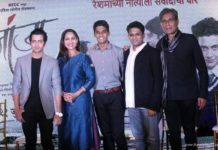 Whether it is an activity like producing a Marathi feature film like ‘Kadachit’, or whether appearing as an examiner in a Reality Show like ‘Ataa Houn Jau Dyaa’ to make a stringent evaluation of the merits of the participants or whether it is like playing a role in a Marathi feature film, ‘Ajachaa Divas Mazaa’, every time Ms. Ashwini Bhave has tried to do something different than the mainstream film performances and no wonder, all her endeavours have won widespread acclaim and admiration only. Ms. Ashwini is once again appearing before audiences in an altogether different role in her forthcoming film being produced by the Great Maratha Productions. Ms. Ashwini Bhave has made significant contribution as a writer also as competently she has acted in several films. A book authored by her, titled as ‘Manobhave’, was published in 1998. Besides, in the year 2002, Ashwini also made a documentary film, titled as ‘Warli Art and Culture’ based on the Warli Art and the Adiwasi tribes associated with it. She had successfully met the triangular responsibility of production, writing and direction of this documentary film launched in the ‘MAMI’ film festival. Thus, she always remained connected with the filmdom in some or the other form of this art. Now she has taken one step further. Ms. Ashwini Bhave holds a lion’s share in the production of a documentary film titled as, ‘The Human Experiment’ that attempts to boldly expose the cruel deeds of chemical industry giants who play vicious games with the human race. A documentary film ‘The Human Experiment’ has caught worldwide attention today. Ashwini Bhave has been the Executive Producer of this film. ‘The Human Experiment’ has left an indelible imprint across all the famous films’ festivals. Detailed information about the brutal game being played by the toxic chemicals with human life on this planet today has been presented in this film. The overwhelming flood of dangerous chemicals being injected in the human beings through the products of everyday consumption such as Coffee, Toothpaste, Shaving Cream and Lipsticks is causing unimaginable loss to the mankind. These potentially harmful chemicals bringing about a Slow Poisoning are eventually causing ailments like Breast Cancer, Autism, and Infertility etc. Corporates and politicians are turning an intentional blind eye to these chemicals even though these evils are slowly spreading their vicious tentacles around the existence of the human race on this planet. A small part of social activists are raising their voice against this fatal conspiracy yet circumstances are proving that their effort is grossly insufficient. Documentary film titled as, ‘The Human Experiment’, has been made with this precise objective of spreading widespread awareness among the people at large about this gangrene rapidly affecting the human race itself. Needless to say, the documentary film, ‘The Human Experiment’, painstakingly produced by Ms. Ashwini Bhave with her team has indeed proved to be an eye-opener for the whole society. 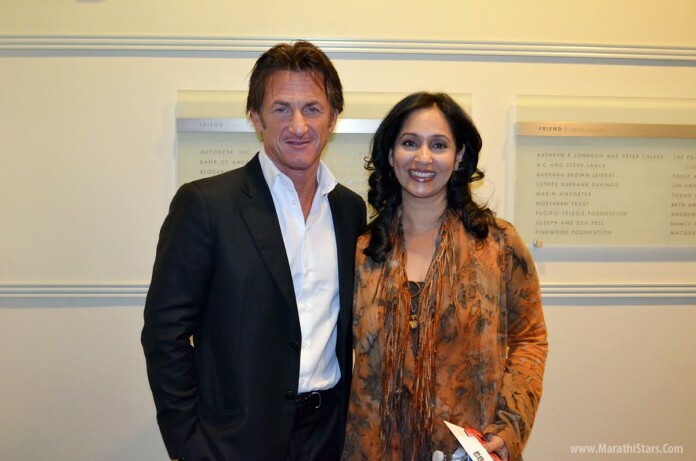 Presented by the KTF Films, the direction of this documentary, ‘The Human Experiment’, has been done by the Emmy Award Winner journalists Dana Nachman and Don Hardy whereas Oscar Award Winner Actor Sean Penn has played a lead role in the film. Written by Dana Nachman, the music of this widely acclaimed documentary film has been designed by Scott Hardkiss. No wonder, by associating herself with such a team of distinguished artistes, Ms. Ashwini Bhave has produced this documentary film, ‘The Human Experiment’ which attempts to deliver a serious message to the entire world. Hundreds of films’ critiques have overwhelmingly acclaimed this film that bluntly condemns the functioning of the worldwide chemical industry. The horrible truth of the working of the chemical industry has been exposed through this documentary film based on the real life agonies of some victims and the agitations conducted by the activists against them. More than 80,000 chemicals are available today in the United States alone. An examination of only 20 chemicals out of them have been evaluated from the security perspective today and only 5 chemicals have been approved by the EPA. ‘The Human Experiment’ has highlighted this gory truth about the chemical industry. World-class companies like Dow, Du Pont and ExxonMobil have been mentioned in this documentary film. Therefore it is a matter of great pride for every Indian that the one and only Indian name, Ms. Ashwini Bhave, is connected with a documentary film made to preserve and protect the interests of mankind. ‘The Human Experiment’ has released on 17th April 2015 in the theatres across USA. On the auspicious day like ‘Earth Day’ it will be released on the world-class digital platforms like I-Tunes and Amazon also. Next articleHindi Star Ashmit Patel to Debut in Marathi Films with Ek thriller Night! Ashwini Bhave’s latest photos prove that she is a Timeless Beauty!